Is High Alcohol Consumption Linked To Oral Cancer? 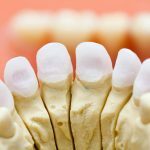 Home / All About Dental Disorders / Is High Alcohol Consumption Linked to Oral Cancer? Oral cancer consists of cancerous tissue growth that stems from the oral cavity, and usually is prone to attacking areas such as the tongue, the floor of the mouth, gums, lips, roof of the mouth, and cheek lining. During the year 2013, oral cancer took 135,000 lives, and is characterized by skin lesions or lumps in these locations that don’t improve during about two week’s time. 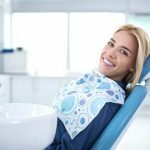 During the beginning of being affected by oral cancer, the signs in places of discomfort may be white or red patches that are located on the soft tissues of the mouth. When the patient first spots them it may be painless, and in some rare cases you see the first signs behind the ear. There may be difficulty moving the tongue, and many report having difficulty swallowing as one of their first symptoms of oral cancer. One of the things that makes detection and prevention difficult is that pain and extreme redness sometimes do not occur until later stages, making this condition dangerous as any cancer. When the problem really manifests into advanced stages, the photographs can be quite horrifying, and the condition appears as a very angry manifestation that truly appears like a very sore fungus and area of growth. Does alcohol play a role in the cause of oral cancer? The dangers of tobacco use are truly what lead to around ¾ of oral cancer cases. 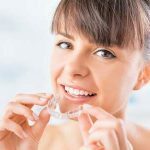 When you take a habit such as smoking and combine it with already poor oral hygiene, the chronic infections that can occur lead up to the condition. In southeast Asia where chewing stimulants such as betel, paan and areca are common, oral cancer represents nearly half of the cancers detected, compared to under 5% in Britain. Even though it begins to show up around age 40, some are affected earlier. It used to be thought that alcoholic mouthwashes were a prime cause of oral cancer, and it was studied heavily in Brazil and Germany during the early 2000’s. The evidence concluded that most alcohol-containing mouthwashes were not necessarily the cause of cancer was fairly widely accepted, but the drinking of alcoholic beverages still is associated with the onset of oral cancer to this day. If you are combing alcohol and tobacco use your chances become even greater of developing this condition, but if you are a heavy drinker, it has been determined that you are still at great risk. A chronic drinker who is drinking 6-9 drinks daily is going to be posing a great source of ethanol, which converts into the toxic chemical acetaldehyde. DNA is directly attacked in this scenario, and the International Agency for Research on Cancer has classified acetaldehyde forming as a certain cause of cancer. Even though the majority of ethanol is broken down with the functions of the liver, when the beverage first enters the mouth, it creates a volatility in the entire region for all sorts of toxins. This is why those who drink and smoke are at greater risk, because the alcohol intake puts the mouth in a state that weakens itself to tobacco. 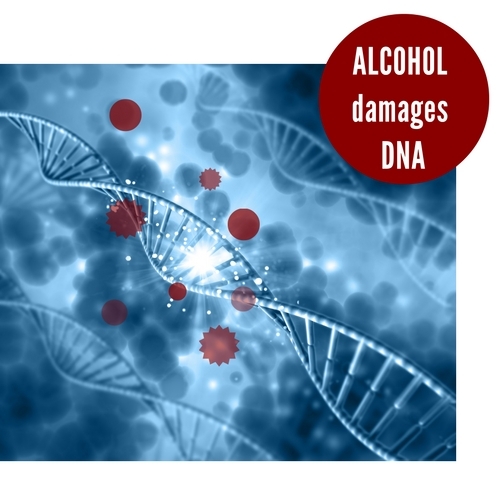 Alcohol ultimately damages DNA, and the Reactive Oxygen Species that are produced in our cells have been confirmed to cause cancer to rapidly develop. Folate is a vital element in vitamin form that helps the cells in the body produce DNA correctly and healthily. Those who drink alcohol do tend to have much lower levels of folate in their blood, and certain oral cancers are linked to this attribute as well. What is considered alcohol abuse at dangerous levels? The dehydration of the body is never safe on cells, and the more alcoholic drinks that one drinks, the higher this risk. Many spread the rumor that to get oral cancer you need to be abusing both alcohol and tobacco, and this is true to some extent, but alcohol plays a major role. 21 drinks a week is where the dangerous level of intake is set at, and even just drinking half this much greatly lowers your risk for oral cancer. 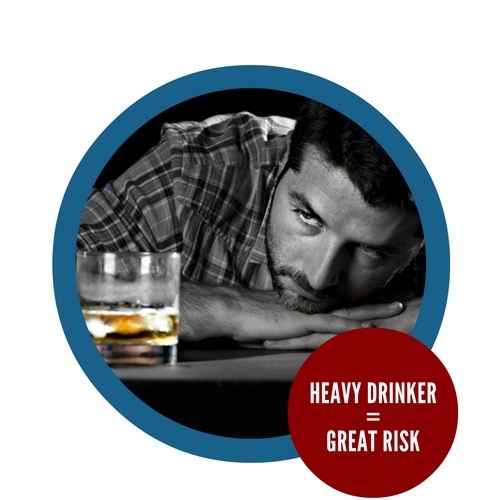 From the many public service announcements that folks see regarding alcohol, it is widely assumed that liver damage is the main result of heavy alcohol intake. 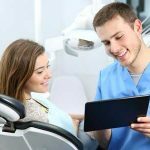 Even though oral cancer can be combated better than other forms of cancer if discovered early on, eliminating all forms of extra risk will be greatly beneficial in your healthy path to living.